Cisco’s WLC AirOS 8.0 has been released! Change the AP mode from local to flex-connect without a reboot, yay! Oh and I don’t know who requested this particular feature, but you can from now on also use set a red Web Color Theme .. I have to say that my experience with the now released version (8.0.100) on a 5508 WLC is that the code feels and acts a little buggy; not a release that you want to run in a production environment. My advice is to wait for a maintenance release, but it is always fun to test the new features in the lab 🙂 . 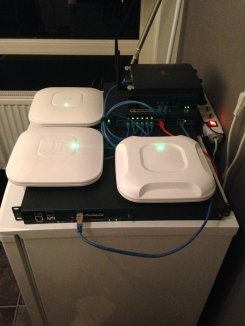 CCIE Wireless… we have a liftoff! It started in my early years as a kid. I was curious about how stuff actually worked, especially radio technology had my interest. Two years ago I passed my CCNA Wireless certification and since than I did a few deployments with a lot learning on the job. The problem with working for a relatively small Cisco partner is that you don’t have a real specialty; you need to know a lot about a lot. It is not that I do not like that. I love to do consulting, create designs and actually implement that firewall or Nexus solution. I do have my CCNP R/S and CCDP, but I always loved the wireless technology. And now the moment is here. I scheduled all of the four CCNP Wireless exams four the next few months, every month a exam starting with the site survey one next Wednesday. The CCNP should give me a foundation for the CCIE. 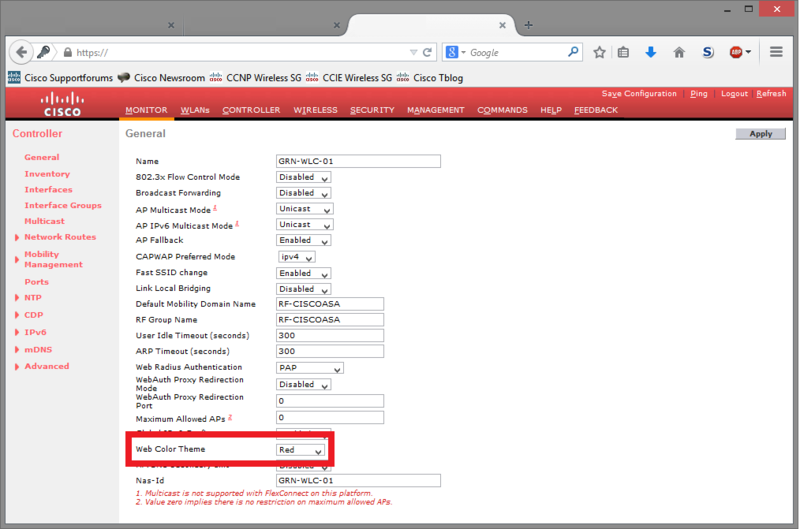 My plan is that I at least try the CCIE Wireless lab once before I turn 25 in September 2015. They say it is the hardest CCIE exam, I guess I will find out! For running WCS / Prime, MSE and ACS I have a VMware server collocated in a datacenter connected with a VPN on a ASA firewall. Lets start this post with some theory about wireless and regulations for wireless networks. Here in Europe we have the ETSI who decides which frequencies you are allowed to use for wireless communications and with how much power you may send signals into the air. For the 2.4Ghz frequencies (802.11b/g/n) this is 20dBm maximum EIRP which is the same as 100mW. For the 5Ghz frequencies (802.11a/n/ac) it depends on the actual channel you are using (for the UNII-1 and UNII-2 frequencies the maximum EIRP 23dBm, for UNII-2 extended this is 30dBm). The EIRP value is calculated as follows: transmitter power (dBm) – cable loss (dB) + amplifier (dB) + antenna gain (dBi). Lets say you have a Cisco WLC, a Cisco 2602E-E access-point and you are going to use external antennas. How does that work and what do you need to configure so your deployment is legal? Lets say we are going to use a dual-band directional AIR-ANT2566P4W-R antenna. This antenna has 6dBi gain for both 2.4Ghz and 5Ghz, which is much higher than the default values and would give a too high EIRP value (18 dBm + 6 dBi = 24dBm). In this case we need to tell the WLC what the gain of this antenna is, so that it can lower the access-point power which ensures that the EIRP in no case is going to be too high. On the GUI you can find this configuration under the tab “Wireless -> Access Points -> Radios -> 802.11a/n/ac / 802.11b/g/n -> click on configure for the correct radio -> Antenna Parameters -> Antenna Gain”. Please look below for a CLI example. The value you are going to enter needs to be twice the size of the actual antenna gain! If you are running some extra cables between the antenna and the access-point, you can lower the gain value to compensate for that loss. 0. Run a task to gather the base MAC address of all the access-points, you gonna need those later to figure out which access-point is which when all connect to the controller. 1. Upload the .tar file with to the TFTP directory in the “CatTools” directory in program files. This step is gonna take a while, at least 5 minutes. 5. After the reload kicks in the access-point will use option 43 or one of the other options for discover the WLC and tries to join it. – Make sure that you have the option “answer yes to questions” enabled in all of the tasks in CatTools. 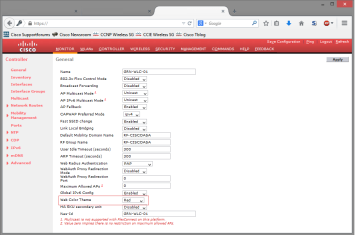 – Pick the new access-points software carefully and close to the release on the WLC. There where Cisco lacks in writing documentation on this subject at this point, I figured out that it could be handy to write the (small) steps down on how to get a 1600/2600/3600 AP in rommon back on track (autonomous or controller based).